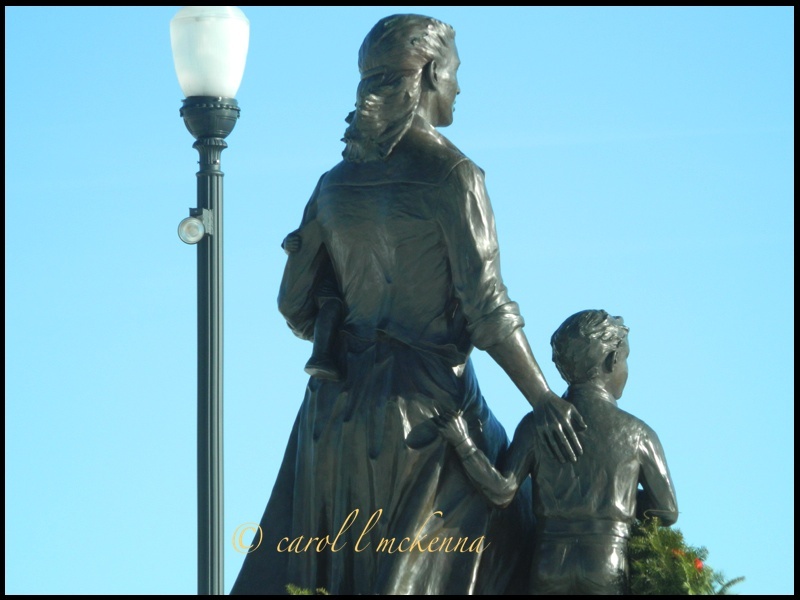 Cape Ann MA ~ an ‘island unto itself’ ~ Above is the Fishermen’s Wives Monument, a memorial, to all those husbands who died at sea fishing the vast ocean. I wonder what they thought as they went out to sea for days in all kinds of weather. It was a high price to pay for doing what many of them reportedly seemed to cherish, roaming the seas for fish to bring home to sell, a way to make their living. Now, there are few fishing boats and few men or women to troll the ocean. I wonder as I wander this earth what has happened to the peoples of the world in this 21st century. Technology seems to be paramount and relationships, men, women, children, animals are growing further apart each day? Is our world ‘fished out’ like the ocean? Was Orwell right – ‘it’s a brave new world’. Go fish. This entry was posted in Uncategorized and tagged 'i wonder as i wander', Cape Ann MA, Fishermen's Wives Memorial, fishing industry, go fish. by artmusedog. Bookmark the permalink.